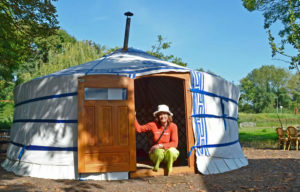 Mongolian tents named Yurt’s ore Ger’s are very cosy to stay in. Because of their round structure, a kind of holy geometrical form with 70 sticks and awareness of the earth, water, fire and wind elements makes people usually feel a sense of sacred silence inside the tent bringing inner peace. 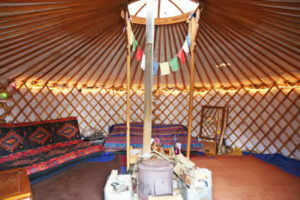 Good to use for short stay, ceremonies, meditation and yoga clases, birthday parties, ore events.